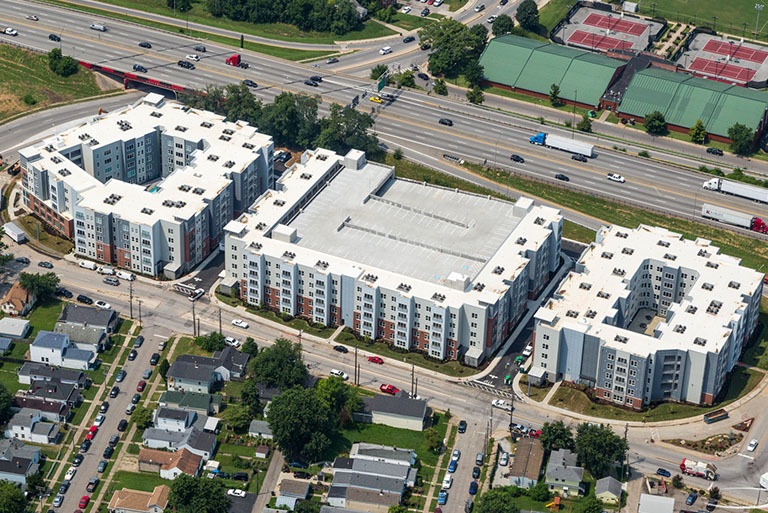 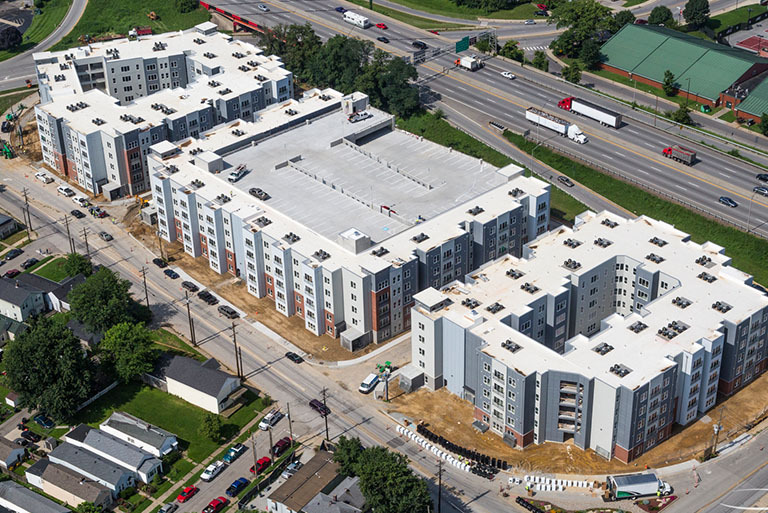 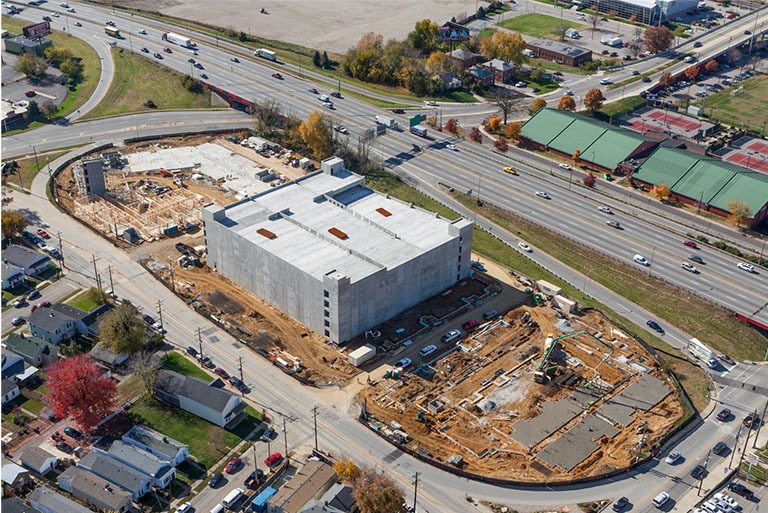 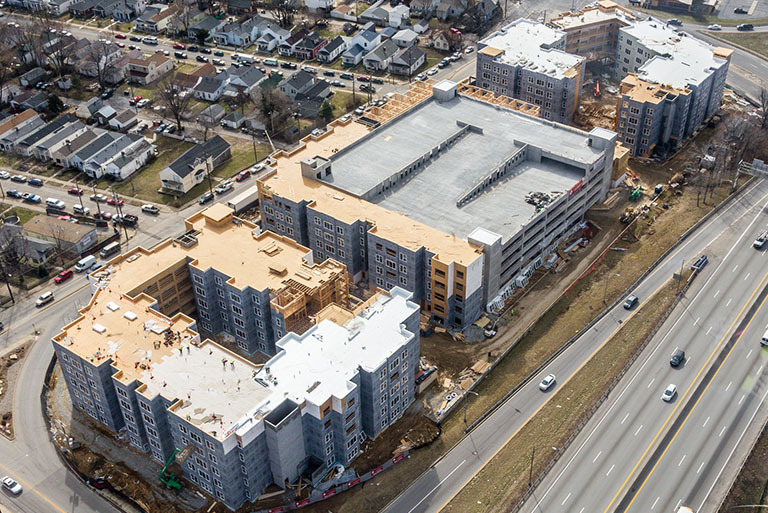 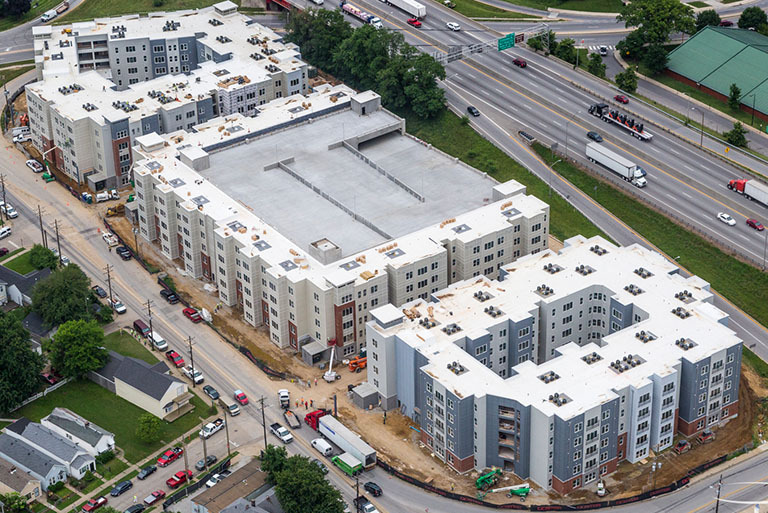 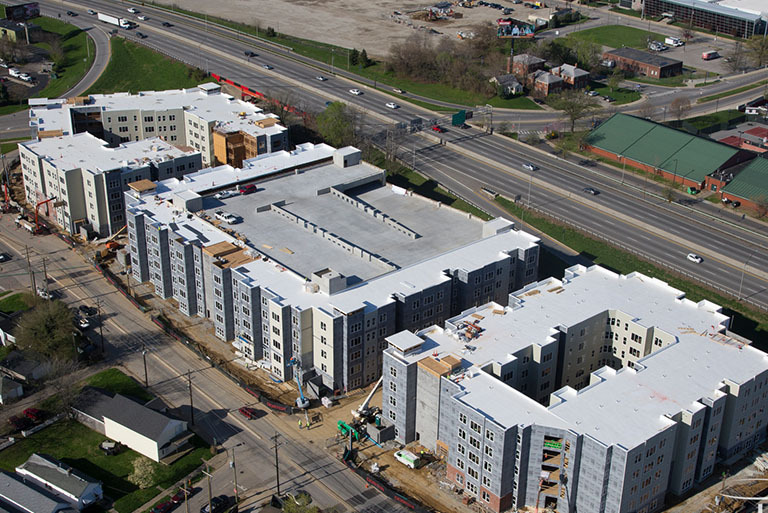 Doster completed the $45.8 million The Clubhouse Student Apartments in Louisville in just 14 months! 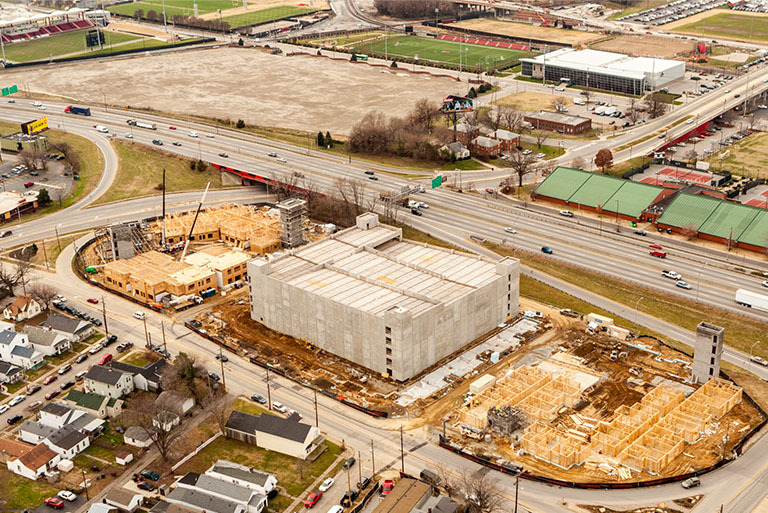 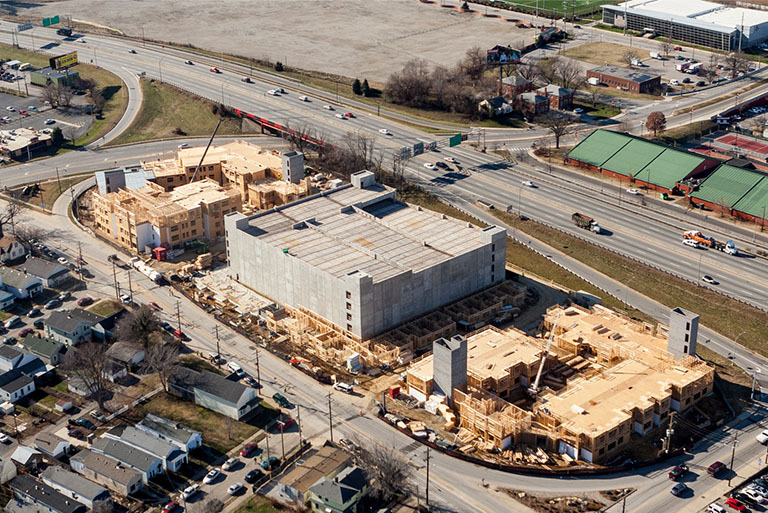 The project is located adjacent to the University of Louisville campus and consists of 3 five-story wood frame buildings. 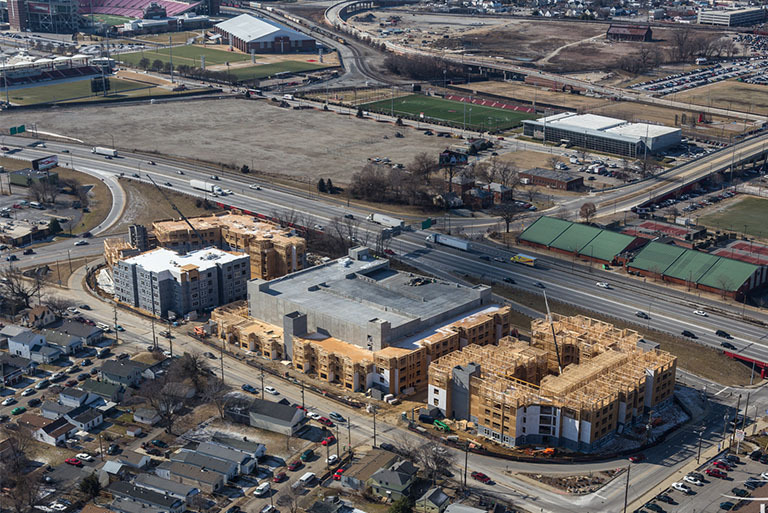 The new complex has 758 beds and more than 400,000 square feet of living space. 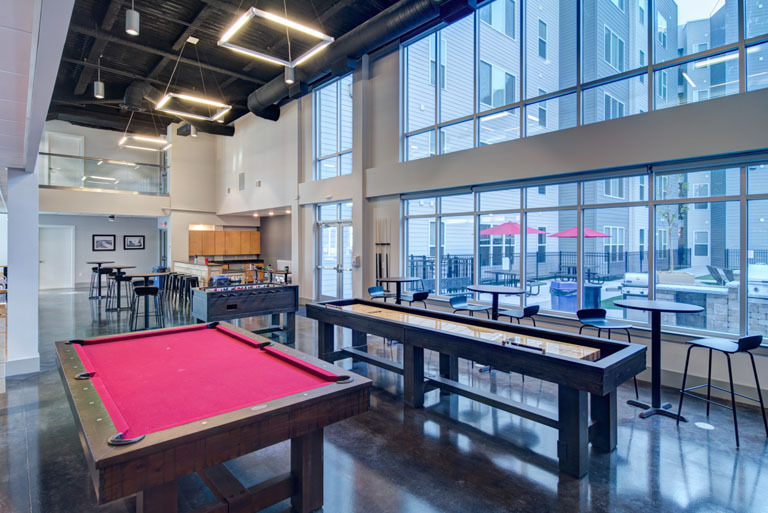 Amenities include two courtyards, a swimming pool, a club room, fitness area, a theater, computer/study room, and a hammock garden. 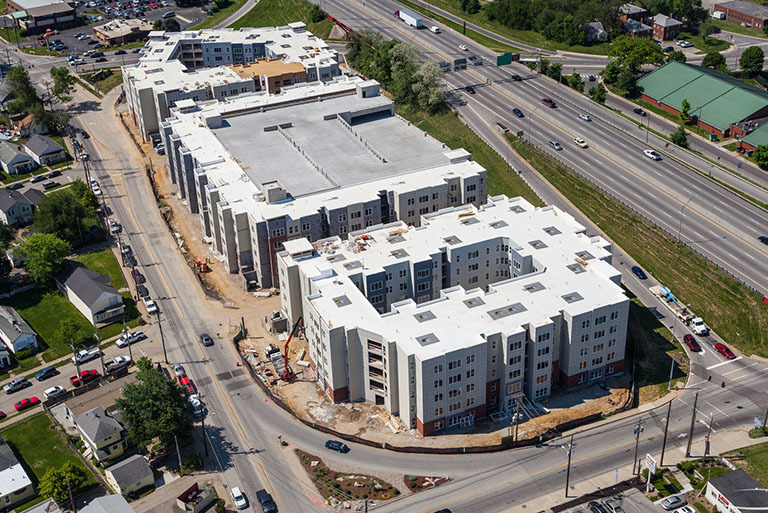 The project also includes a 5-1/2 level parking garage which accommodates more than 625 spaces. 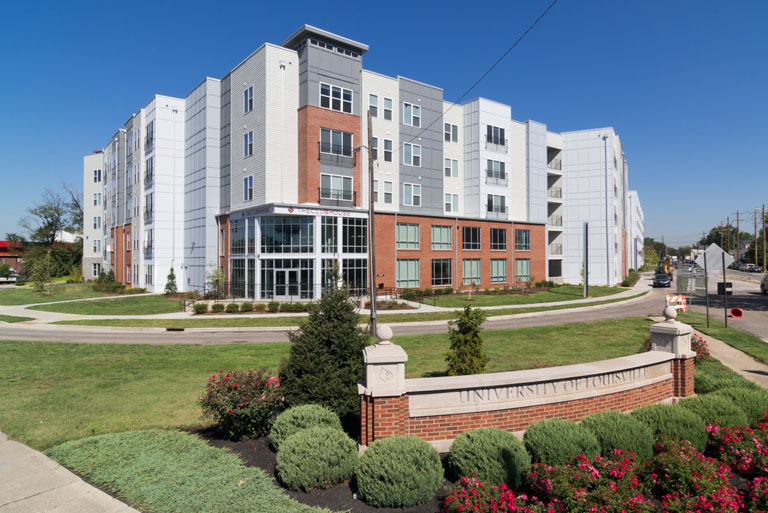 Congrats to the Doster Team for the huge last minute push to a achieve successful intake of tenants and the honoring of the commitment they made to do this!